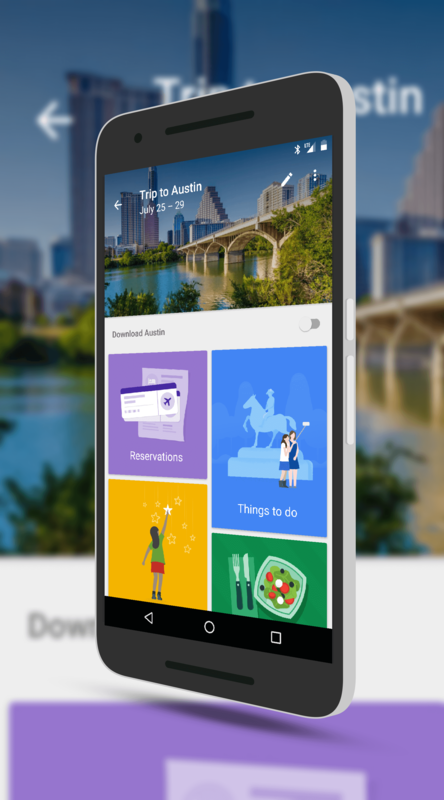 Google Trips, Google’s travel organizer app, was released back in September 2016 and hasn’t had a whole lot of fanfare. It’s a solid little app that helps you keep your trips organized with all of your reservations as well as things to do and see while you are in that location. Since its launch, the app hasn’t had many updates but for some users, there has been a nagging bug that has finally been addressed. A small update is rolling out now that fixes an issue with notifications in the app. Those notifications should now work, letting you know when you have a trip upcoming or events within that trip. Previously it worked… sometimes. If you have Google Trips installed on your phone, the update should be coming to you over the course of the next few days. For those who aren’t familiar with it, Trips aims to be the one app you go to for information about your trip and to help you plan it. Best of all (besides being free) is that it can work completely offline, saving you data usage while you are traveling internationally. The leverages travel reservations received in Gmail to determine where you are going on a trip and stores that information in the Reservations section of the app. There you can see your car, hotel and air travel all in one place. There are other sections too such as Things to Do. This gives you recommendations on things around where you will be traveling that you can do to get to explore the city you are visiting. Once you find something you like, tap the star icon for that things and it will be added to your Saved places so you can keep track of them and plan them into your trip. new city and know there is a lot to do but aren’t sure how to get it all in. Google Trips takes a lot of the guess work out for you. There is also a Food & Drink section to help you find restaurants, bars and other eateries, a Getting around section to help you figure out transportation in the city you are visiting and a Need to Know section for things like nearby hospitals, emergency numbers and the like. Give it a try by downloading it in the Google Play Store.